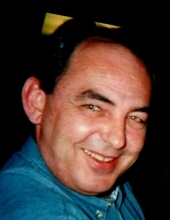 Rickie Joe ‘Rick’ Sloan, 63, of Effingham died at 2:08 a.m., Sunday, April 7, 2019 at Northwestern Memorial Hospital, Chicago with his family by his side. Funeral services will be at 10:00 a.m., Friday, April 12, 2019 at Gieseking Funeral Home, Altamont with Rev. Marcus Manley officiating. Burial will follow at Union Cemetery, Altamont. Visitation will be from 4:00-7:00 p.m., Thursday, April 11th at the funeral home. Memorials may be made to the Gift of Hope Organ and Tissue Donation Network. In 2008, Rick was the recipient of a life-saving heart transplant. This generous gift allowed him an additional 10 years with his family and friends. His family honored his final request for that gift to be reciprocated as he became a donor upon leaving this life. Rick was born on Thursday, May 12, 1955 in Vandalia, Illinois to Leo Melvin, Sr. and Eleanora Mae (Abernathy) Sloan. He was an over-the-road truck driver for many years and was known to many fellow drivers and friends as ‘Scarecrow’. Left to celebrate his life are his children; Alysia (Lantz) Wills, Beecher City, Adam (Kelly) Sloan, Orange, CA, Erica (Kris) Biggs, Altamont, and Amanda Sloan, Effingham; his grandchildren, Alyvia and Abigail Wills, Sophia Heath and Nora Sloan, Timothy, Max, and Maya Moore, and Tristin Duncan; his siblings, Mary Lee (Leroy) Runge, Goreville, Linda (Floyd) McCoy, Newton, Judy Pedigo, Clarksville, TN and Debbie (Kevin) Shirley, Sullivan; sister-in-law, Julie Sloan, Toledo; brother-in-law, Stephen Wissink, Mahomet and a host of nieces, nephews and friends. Rick was preceded in death by his parents, brothers, Leo M. Sloan, Jr., twin brothers, Lawrence and Loren Sloan and sister, Lucille Steffen Wissink. To send flowers or a remembrance gift to the family of Rickie Joe 'Rick' Sloan, please visit our Tribute Store. "Email Address" would like to share the life celebration of Rickie Joe 'Rick' Sloan. Click on the "link" to go to share a favorite memory or leave a condolence message for the family.